Using Beautytherapistsonline.com/co.uk and Acceptance of Membership and Advertisers. Access to our site is permitted on a temporary basis and we reserve the right to amend or withdraw the service on our site without notice. *We will not be liable if for any reason our site is unavailable at any time or any period including server issues, upgrades, downtime for both advertisers or visitors, new server upgrades, new website upgrades..
We aim to update our site regularly and may change the content at any time. If the need arises we may suspend access to our site or close it indefinitely, move to new upgraded servers or new website. Any of the material on our site maybe out of date at any given time and we are under no obligation to update such material. Users of this site must have consideration for other and not use false names, identities or e-mail addresses. The site and all information and material on it is our copyright. Although every effort will be made by us to give a consistent service we cannot guarantee that the site will be up to date or error free, that error or defects will be corrected, or that this site or the server that makes it available are virus free. This website and information relating to events, products and services (or to third party information, products or services) is provided “as is” without warranty of any kind as to accuracy, compatibility, security, satisfactory quality, or fitness for purpose. We shall not therefore be liable for any damage, financial or otherwise, which may be caused by using the information or material on this site nor can we be held responsible for the claims and comments of advertisers on the site. We do not endorse the goods or services advertised on this site and the purchase of such goods or the use of such services will be at your own risk. We will not store unsolicited personal information, credit/debit card, sell on your email address nor identify any user unless required to do so by law. Please remember that any content including image and video material posted to beautytherapistsonline.com/co.uk website becomes published content and us such cannot be regarded as personally identifiable information. Anyone who owns, runs, or otherwise is involved within the beauty industry can apply to join us on our site. We reserve the right to decline (refuse) anyone, should they be deemed by us to be unsuitable. We shall not be obliged to provide any explanation for any such denial, refusal, or acceptance to our site. Business advertisers must take full responsibility for claims and statements made in their advert and/or web page(s) and they must not promote or advertise any product or service which is illegal in the UK or EC. 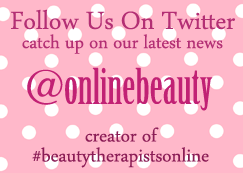 Beautytherapistsonline.co.uk/com will not accept advertising which may cause offence to others. All business advertisers are responsible for checking to ensure their details are correct within 14 days of webpage being live, including telephone numbers, addresses, contact details. Your info/brief/details/about, If we receive no instructions from you we will generalise. Please be advised we are not responsible for any inaccuracies after the 14 days. All payments are due in full prior to or on the day of your page going live, unless otherwise stated, set at our discretion and are subject to change without prior notice. Bank Payments: we will send you our bank details and payment required for you t o pay by bank transfer, standing order. All info/wording must be provided by you along with images – between 3 – 5 images only on page, depending on space. The copy content is your responsibility and should ensure that the information is accurate and that all material, including photographic images & or audio, video conforms to the standards set out below and is entirely relevant to the advert. Inability to use or gain access to the site. Shall not be held liable for any losses, financial or otherwise, loss of business, loss of goodwill, loss of profits or contacts, loss of data, loss of anticipated savings, as a result of loss of access, move to new upgraded servers, third party hardware failure, telecommunications problems or general delays on the internet, new website, said inaccuracies of your advert, or inability to use or gain access to the site or your advert, or shall we be liable for loss of access due to third party hardware failure. When/ If the need arises we may suspend access to our site or close it indefinitely, move to new upgraded servers or new website. Full yearly subscription and all outstanding balances and payments must be paid in full. No subscription fees are refundable. Cancellation will be effective upon receipt of your notification email and all outstanding monies are paid in full. Beauty Therapists Online may terminate your subscription at any time if we feel that you are not adhering to what fits with Beauty Therapists Online ethos and reputation. We are not obliged to provide you with a reason nor shall we be liable to refund any subscription fees to you. On termination for whatever reason, we will remove all your details from our website and withdraw any applicable benefits. As a user of the site you agree to indemnify Beauty Therapists Online it’s officers, employees and agents from and against all and any claims, liabilities, damages, losses, debt, costs and expenses (including legal fees) arising from your use of the beautytherapistsonline.co.uk/com website or your violation of our terms & conditions or any claim that one of your advertisements to the site has caused damage to or violated the rights of any third party including those of privacy, property or copyright. This indemnity obligation will survive your use of beautytherapistsonline.co.uk/com and these terms & conditions.